Recent review: Choo Choo the Clown is the best clown in Edmonton!! The kids can’t get enough of him!!!! Recent review: Thank you for making our event so memorable! Your talents are amazing! Truly Awesome! Recent review: People really had a good time and he has a big heart. His entertainment was much appreciated. 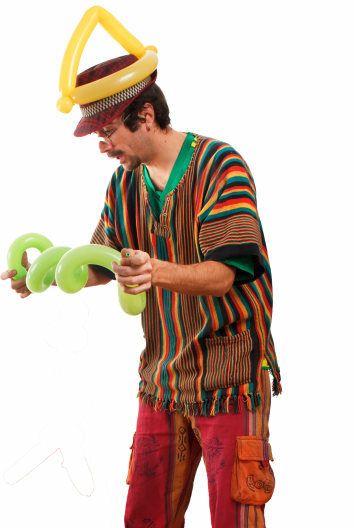 Balloon twisting may seem like a simple task, but the professionals take entertainment to a whole new level! From balloon animals and characters to extravagant life-size creations, GigSalad Balloon Twisters can add festivity to your party like no other. Give your guests a delightful souvenir that’s fun and created just for them! Search for Balloon Twisters in Camrose, Alberta above. Please note that these Balloon Twisters may also travel to Ohaton, Armena, Bittern Lake, New Norway, Round Hill, Gwynne, Hay Lakes, Edberg, Bawlf, Kelsey, Kingman, Ferintosh, New Sarepta, Rosalind, and Ryley.